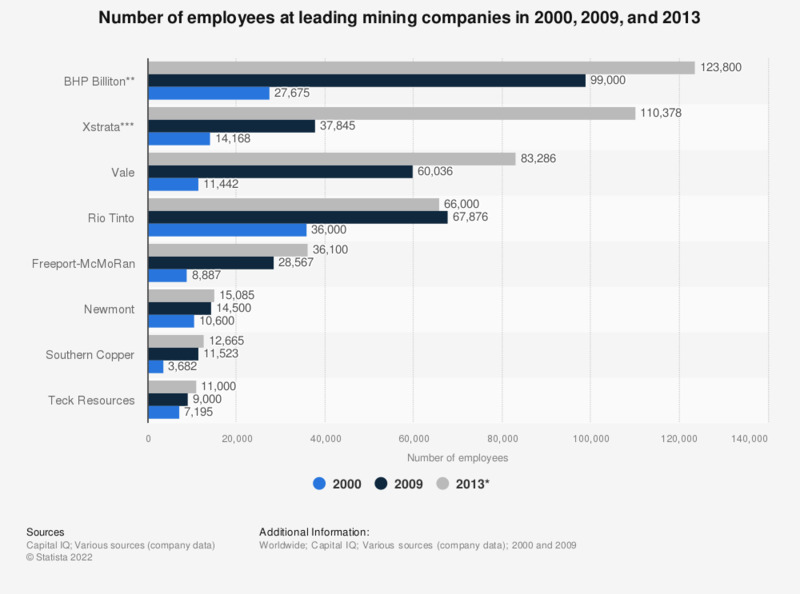 This statistic shows the number of employees at selected leading mining companies in 2000, 2009, and 2013. In 2009, BHP Billiton was employing around 99 thousand people. This number increased to over 120 thousand employees in 2014. As of 2015, BHP Billiton was also the largest mining company worldwide based on market value. * Added from the companies' annual reports. ** Latest figure is as of 2014. *** GlencoreXstrata since May 2013.